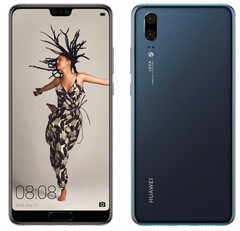 Huawei’s next flagship phones have leaked out courtesy of serial leakster, Evan Blass. Blass tweeted the official press renders for the P20, P20 Lite and the P20 Pro revealing that all of them incorporate an iPhone-style notch. Given that many Android fans took to forums ridiculing the notch on Apple’s iPhone X when it launched, it will be interesting to see the reception towards the P20 range and the myriad of notched Android devices that have surfaced in the past few weeks. Of the three models, the P20 Pro is the most interesting, particularly from a photographic perspective. It incorporates three rear cameras, with two set up as a duo and a third that is placed separately. According to Blass, the at least one of the rear cameras on the P20 Pro could feature a 40MP sensor along with 5x hybrid zoom and a 24MP front-facing camera for selfies. All of the cameras are said to have been co-developed with Leica. In terms of silicon, both the Pro and standard P20 will receive the company’s top Kirin 970-series processors.